Home Real Estate Mortgage What is an FHA 203(k) rehab loan? The FHA 203(k) rehabilitation loan can help finance properties that are in need of repair. 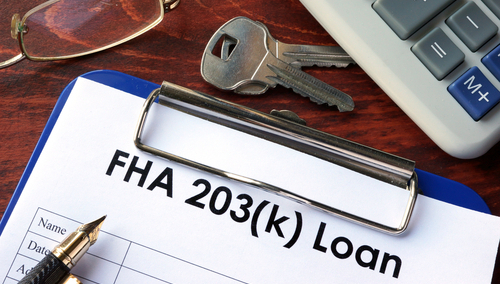 Here is what you should know about the FHA 203(k) rehab loan. The Federal Housing Administration (FHA) created the 203(k) program in order to encourage the purchase of properties in need of repair, and the renovation of existing properties. An FHA 203(k) rehabilitation loan can be used to purchase or refinance a home and include the costs of rehabilitating the property in a single mortgage loan transaction. When finished, the renovated or rehabilitated property must conform to existing FHA housing standards. Eligible borrowers include individuals, local government agencies, and HUD-approved non-profit agencies. To purchase a dwelling and the land and rehabilitate. To purchase a stick built home on one site, move it onto a new foundation and rehabilitate. To refinance existing liens secured against the subject property and rehabilitate. Prepare a property to be placed on the market. In addition, the 203(k) loan can be used to fully demolish and rebuild a property as long as at least a part of the original foundation remains. Single family homes can be converted into two to four unit properties or vice versa, using a 203(k) loan. These loans can also be used to renovate (but not to relocate) manufactured homes, as long as they were built after 1978 and meet the FHA’s Title II requirements. What are the different types of FHA 203(k) rehab loans? There are two different basic types of 203(k) loans; Standard and Streamline. Each type can be used to purchase a home or to refinance the rehabilitation of an existing property, but there are key distinctions between the two programs, see Table 1.1. A Standard 203(k) loan requires the use of an FHA-approved Consultant, while a Streamline 203(k) allows for the use of a Consultant, but does not require it and will not allow for their fee to be rolled into the loan. Contingency reserves are required for Standard 203(k) loans, which could be up to 20% of the cost of the project. There is no contingency reserve requirement for Streamline 203(k) loans. Unlike the maximum loan amount for a Standard 203(k) which is based on the value of the property, the Streamline 203(k) is capped at a maximum loan amount of $35,000 including all eligible fees. DOWN PAYMENT AND CREDIT UNDERWRITING The same as for any loan. The same as for any loan. WHO CAN GET A 203(K)? Owner-occupant borrowers, HUD-approved non-profits, government agencies. The same as for any loan. ELIGIBLE IMPROVEMENTS No minimum repair requirement. Up to $35,000 of minor repair. Cannot be used for structural repairs. A minimum $5,000 requirement for improvements. Any repair is acceptable, however – health and safety items and building code or ordinance violations must be addressed first. Then, minor repairs and discretionary items may be included. 203(K) CONSULTANT 203(k) consultant is not required. 203(k) consultant is used. WHAT MAY BE INCLUDED IN REHABILITATION COSTS? Total cost of rehabilitation (including energy package and lead- based paint abatement costs,) contingency reserves, inspections (if required), supplemental origination fee and discount points, all not to exceed $35,000. The total cost of rehabilitation (including energy package and lead based paint abatement costs, consultant fees, and architectural and engineering fees), contingency reserves, inspections, up to 6 months PITI, and supplemental origination fee. The loan amount including the cost of rehabilitation cannot exceed the FHA maximum loan limit for jurisdiction. CONTINGENCY RESERVES A contingency reserve is not required. Lenders have the option to establish a reserve. The lender must establish a contingency reserve when the property is 30 years or older. The reserve should be between 10 and 20 percent of the rehabilitation cost, depending on the complexity of the project. CONTRACTORS Contractors provide written work plan and cost estimates. Contractor must be licensed and bonded, as required by locality. 203(k) consultant provides a work write-up including a cost estimate and work plan. Borrower selects contractors with assistance of the consultant and review by the lender. ALLOWABLE FEES Supplemental origination fee of 1.50% of the rehabilitation costs or $300, whichever is greater, plus inspection fees, and title update fees. Same as Streamlined 203(k) plus financed mortgage payments, and architectural and engineering fees. What are the benefits of an FHA 203(k) rehab loan? Similar to other FHA purchase loans, 203(k) loans require as little as 3.5% in down payment funds. In addition to the low down payment requirement, the total loan amount can be up to 110% of the “after improved” value. This frees up additional funds for repairs and renovation projects, and even allows for up to six months of mortgage payments to be rolled into the loan. This is especially beneficial if the property can’t be occupied during construction, which could cause homebuyers to have to double up on their housing expenses until the work is done. The property itself doesn’t have to meet FHA minimum property standards prior to the work being completed, so homes can be purchased at a discount to reflect the cost of repairs, upgrades, and renovations needed. Existing homes can also be brought up to current standards, either through the Standard 203(k) product or through the more limited 203(k) Streamline product. What are the drawbacks of an FHA 203(k) rehab loan? The FHA 203(k) process is a time-consuming one, with all of the potential hurdles of a traditional mortgage process coupled with the rehabilitation and renovation of a property as well. There is a need for detailed plans up front, and the hiring of contractors who are capable of managing the process according to FHA and lender guidelines. The more experience they have with 203(k) projects, the better. These loans aren’t suited to do-it-yourself work and plenty of “sweat equity” projects are considered ineligible — a professional needs to do the work. Even then, certain improvements aren’t allowed under the guidelines. For example, a new pool can’t be installed, but an existing one can be repaired and rehabilitated. Additionally, other ‘luxury’ amenities like sports courts, hot tubs, and saunas are ineligible. What are considered eligible rehabilitation projects? These are just some of the eligible project categories that the FHA can approve for Standard 203(k) loans; individual cases should be reviewed with an approved 203(k) Consultant to ensure that the project meets FHA guidelines. Streamline 203(k) loans have a more limited scope of work, which does not include major rehabilitation or renovation projects such as the repair of structural damage, room additions, or any project requiring more than six months to complete. What steps are required to obtain an FHA 203(k) rehab loan? The origination process for a Standard 203(k) loan begins with the completion of a pre-approval with an FHA approved lender. This includes an evaluation of the borrower’s income, assets, and credit against current FHA guidelines. Once pre-approved, the borrower can confidently makes offers and select a property. When their offer is accepted, the lender will complete the application process and select a 203(k) Consultant. This FHA approved Consultant will visit the property with borrower and prepare their “work write-up”. This write up must include a cost estimate and a work plan. The borrower can then begin reviewing bids and hire licensed contractors to complete the work. The 203(k) Consultant will provide the work write-up and bids to the lender for their review. The lender then completes their process of underwriting, closing, and funding the loan. The loan is then insured by the FHA and the work on the property can begin. Once work begins, the expectation is that the project should be completed within 6 months. As each phase of the project is completed by the contractor, the borrower prepares a Draw Request form and submits it to the 203(k) Consultant. The Consultant inspects the work completed and co-signs the Draw Request. The Draw Request form is submitted to the lender for their approval, and funds are disbursed. This is typically done in the form of a check made payable to the borrower and the contractor. When the work reaches completion a Final Draw is requested and the borrower provides a Release Letter. This indicates that the work is completed and the Consultant has verified the completion. The remaining funds are released and the 203(k) rehab loan process is complete. Next articleWhat Does an Estate Planning Attorney Do? 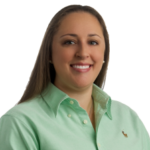 Lauren is a professional Mortgage Advisor by day and an educated academic with a passion for freelance writing.